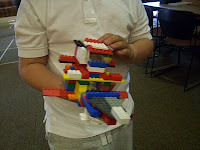 At our very first Legos party, 80 grownups and kids showed up to build, build, build! 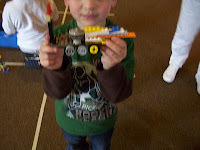 My favorite was a great-grandma and her little one, who play with Legos as their special activity together. As a bonus, a local all-girls (and award-winning) robotics team Fire Breathing Rubber Duckies was on hand to show off their teamwork and mad programming skills. If your kiddo is interested in Lego Robotics, the team suggests checking out the Oregon Robotics page for more information. Join us for our first ever Legos party this Sunday, April 25, from 1:30-3 pm in the Community Room. We'll provide the blocks to play with at the party. 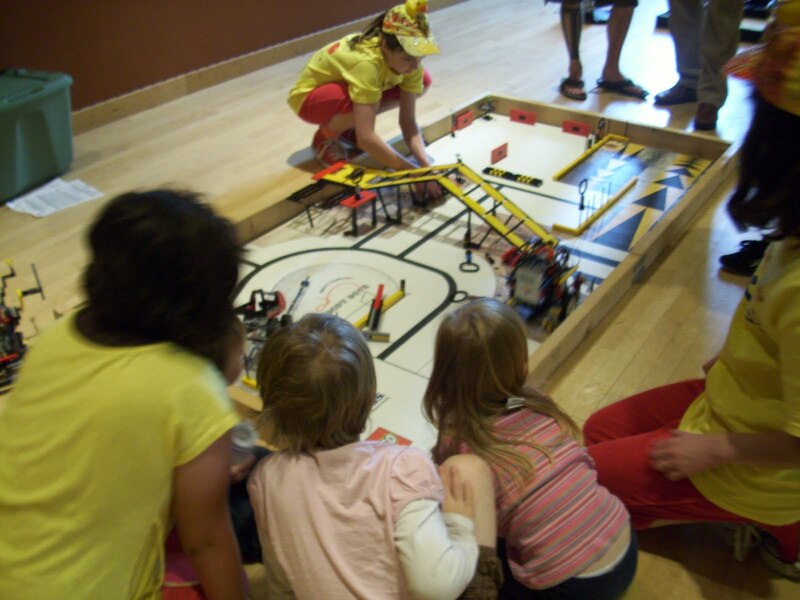 In addition, a local Robotics team will be on hand to provide demonstrations of their creations! What will you build? 10th-12th graders City of Bones by Cassandra Clare. Kids, I have read all three, and I approve of your voting. Good books all around! Next year Oregon will be hosting their own Choice Awards, so bring on the books and start reading! Getting bored of doing the same ol' thing around the house with the kids? Check out Suzanne's Around Town to get some ideas of fun things to do around the Portland Metro Area. Celebrate National Library Week (April 11-18) with an evening of storytelling. Hearing Voices, the 2010 Storytelling Festival, presents a Storytelling Concert on Saturday, April 17 from 7-8:30 p.m. Here stories from Willy Claflin, Nuestro Canto and The Brody Theater. These stories are designed for adults and children over 6 years of age. Why adults should start learning from kids. I recently came across this video of incredible child author Adora Svitak speaking about how childhood optimism, innovation and creativity is our key to a successful future. In her talk, Spitak illustrates that kids thrive in a collaborative environment, and that adults should aspire to trust them and be receptive to their ideas. Check out the video and Svitak's Blog. Crazy Hair Day by Barney Saltzberg. Actor Zach Braff narrates as Stanley, who is so excited about crazy hair day at school, discovers he got the date wrong. Duck on a Bike by David Shannon. Narrator Walter Mayes provides readers with a wealth of different barnyard animals as duck rides a bike all over the farm. March On! : The Day My Brother Martin Changed the World by Christine King Farris. Listeners will be transported back in time to Martin Luther King, Jr.'s historic march on Washington during the Civil Rights movement. Don't Let the Pigeon Drive the Bus by Mo Willems. Playful and perfectly timed music interacts with a determined pigeon who wants to drive a bus, narrated by well loved authors, Mo Willems and Jon Scieszka. A 2004 Caldecott Honor Book and a 2010 Notable Children's Recording. Knuffle Bunny Too: A Case of Mistaken Identity by Mo Willems. Performed by Mo, his daughter Trixie, and wife Cheryl, who all make a great family team showing warmth and love. 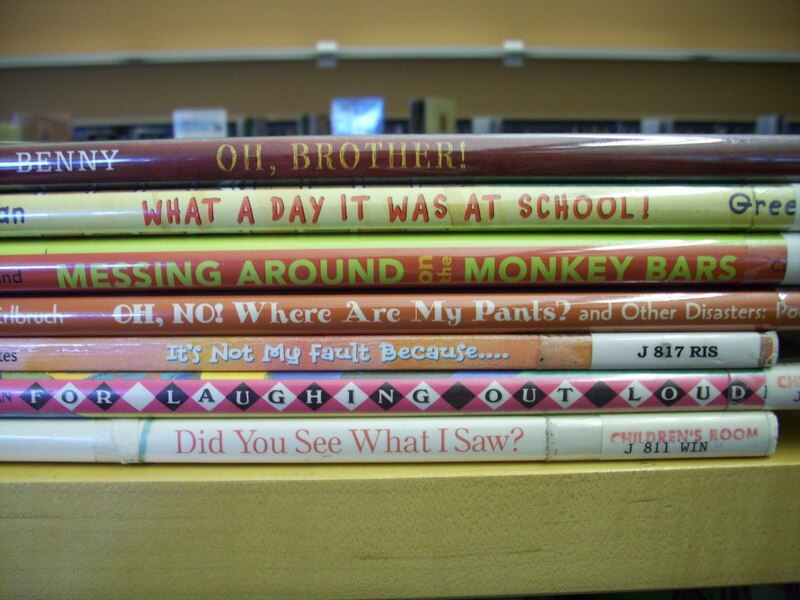 A 2008 Caldecott Honor Book and a 2010 Notable Children's Recording. There are many ways to celebrate National Poetry Month in April. 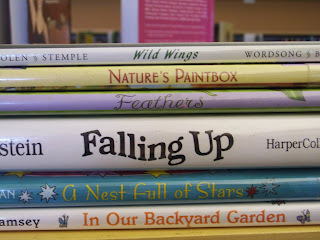 Check out our poetry selection (J 811s). Write your own poetry (I'm a fan of the haiku challenge.). 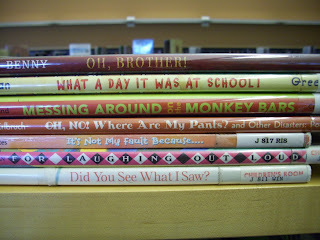 What better library-way to celebrate poetry than be creating book spine poetry? 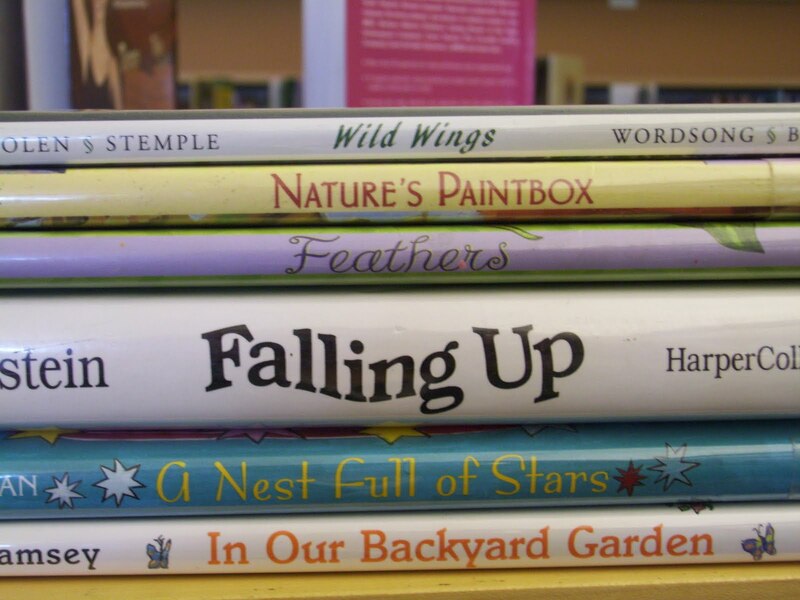 Simply arrange the spines of books to read like fantastic poetry. Here are some of my humble attempts. Give it a try and share your poetry with us! Thanks to 100 Scope Notes for the idea! Meet Carter and Sadie Kane. For those of you Half-Blood fans, Rick Riordan is coming out with a new series, The Kane Chronicles, this May. If you want to get on the list for it, do it now. There is already quite a waiting list and I expect there will be more. 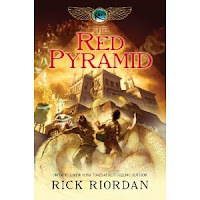 The Red Pyramid , the first book in the series, will take readers through a dangerous journey around the world with Carter and Sadie as they try to escape the wrath of the evil Egyptian god, Set. And as if that isn't scary enough, they begin to discover some deep family secrets and learn about links to an ancient secret order that has been around since the time of the pharoahs. This series will be a little easier than Percy Jackson and the Olympians. Oh, and if you're sad about the Percy Jackson series ending, don't forget that there will be a new Half-Blood series coming out in October. I, for one, CAN'T WAIT!